TKS	It is a shuttle that you can hit as you want. 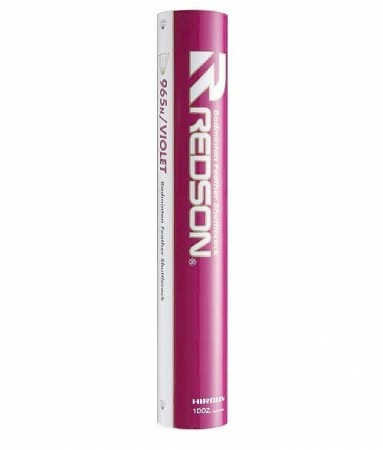 I personally think that it is the easiest to use among shuttles of this series of Redson. Especially its non-uniformity and flight performance. It is a shuttle that rotates as desired even if you shoot any shot himself, and fly to the aimed place. This shuttle is superior in feeling of hit anyhow, and this impression is not only for me but anybody will recognize badminton players. However, a bit expensive is a difficulty, and if you do not have discounts and other services you will be a bit nervous. Noritake	It is a rather expensive but high performance shuttle. The best feature is good flight. It is easy to control from the fact that deep hit balls are easy to strike, and it is easy to rotate. Durability is also sufficient and functional dissatisfaction does not exist, but it is expensive price to worry. I feel that it is good for matches because there are few individual differences. Positive	It is expensive, but it is worth it. The best feature is outstanding durability. Because it is good to have as much as it increases slightly, I will not lose it by buying it. Moreover, the flight is very stable and I feel little individual difference. It is also easy to rotate and strike the place as desired. The total power is a high impression.